Refinance mortgage rates in New Hampshire are very attractive presently. The ability to free up equity or lower your monthly payment can often allow you to afford other purchases such as education, vacation and others that require a significant investment. Or maybe you just want to enjoy the little bit of extra pocket money each month. 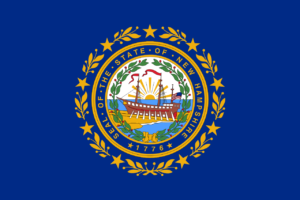 This article covers some of the more beneficial programs to take advantage of in the state of New Hampshire. Discover how to qualify and use these programs to enjoy lower payments and all the other benefits of refinancing. If you purchased your home in 2012, you purchased when the market was at a historic low. Zillow estimates the median home value in New Hampshire at $196,000 in 2012. Zillow also predicts the median home price in New Hampshire to rise to $252,000 by 2018. With that said, if the value of your home has increased, and the amount owed on your loan has decreased then naturally your loan-to-value ratio has improved. This can mean better options for refinancing, or the ability to safely consider a home equity loan. If you secured a loan in 2008, or before, you may be paying significantly higher interest rates than the current market value. Refinance rates in New Hampshire dropped nearly four points between 2008 and 2013. Post-2013, rates climbed at a slow but consistent rate. If you haven’t taken advantage of current refinance rates in New Hampshire, you should consider it soon. Has your credit score improved from the time to you secured your purchase mortgage to now? If you were only eligible for an FHA loan, or through a company like PNC Mortgage who accepts credit scores starting at 620, but now have a higher credit score, your options may have expanded. The higher your credit score the better rates and loan terms you can secure. Has your income increased? If you can start tackling a slightly higher monthly mortgage payment, then you could refinance with shorter loan terms like a 15 or 20-year fixed mortgage. Usually, the interest rate is lower with shorter-term fixed rate mortgages, but the monthly payments are slightly higher. As in any state, NH mortgage lenders offer traditional fixed rate mortgages and adjustable rate mortgages for homeowners to consider for refinancing. Fixed rate mortgages are safe- you will always know exactly how much your mortgage payment will be, and you will know how long it will take to pay your loan off. ARM mortgages have a fixed rate for a predetermined period of time, then adjust with the market value. Both options are worth considering. The shorter your loan terms the less you’ll pay in interest, but the higher your monthly payments will be. ARM loans tend to be a wise financial decision for those planning to move in a short period of time, or need to refinance a jumbo loan. Oftentimes, closing costs can deter many homeowners from refinancing simply because of the cash out-of-pocket required. In those cases, no closing cost refinance offers can be a solution. If your situation is such that you can’t afford closing costs associated with refinancing, then it can still be a good deal if you’re able to get a lower interest rate than you have now. You’ll be able to lock in the low interest rate with a fixed rate mortgage before they go up again. You may have to settle for slightly higher interest rates compared to 30-year mortgage rates, but it’s worth it if you’ll be securing a lower payment which you intend to keep for the long-term. This program is only available for those whose homes are already financed by an FHA loan. If you’ve currently got an FHA loan, then you can lock in a better interest rate by applying for the program. It should be noted, however, that this program is intended only for lowering monthly payments. It isn’t intended to allow homeowners to take cash from their equity. To qualify, you must currently be in good standing on your mortgage for at least 12 consecutive months. The best part is that the FHA waives the need for an appraisal and fast-tracks the paperwork for these types of refinance loans. So, you’ll save money on closing costs and get your lower monthly payment and interest rate much faster. Have you used a mortgage calculator? The best way to select an appropriate refinance product for yourself is through comprehensive research. You’ll need to shop different lenders in New Hampshire and learn about different loan terms. Once you’re equipped with the knowledge of rates you can secure, you can start comparing your options. Using a New Hampshire mortgage calculator can help you see how new loan terms measure up to your current situation. How much will you save each month? How much can you save over the life of your loan? While you’re shopping around, it’s easy to become tempted by lower monthly payments, but it’s important to know lower monthly payments come at a cost. And sometimes that cost will offset the value of a lower monthly payment. One way to protect yourself from falling victim of a bad refinance deal is by calculating your break-even point. This tells you how long it will take to pay off the cost of your refinance: closing cost, appraisal fees, credit score fees, etc. The calculation is simple: Total cost of closing costs/ monthly mortgage savings = the number of months it will take you to break-even from your refinance. If you plan to move or pay off your property before your break-even point, it might not make sense to move forward with a refinance. So, there you go. You now know about some of the more prominent programs to assist you with refinancing your home in the state of New Hampshire. These are not all of the programs available, and you should still take the time to compare multiple offers before making your decision.